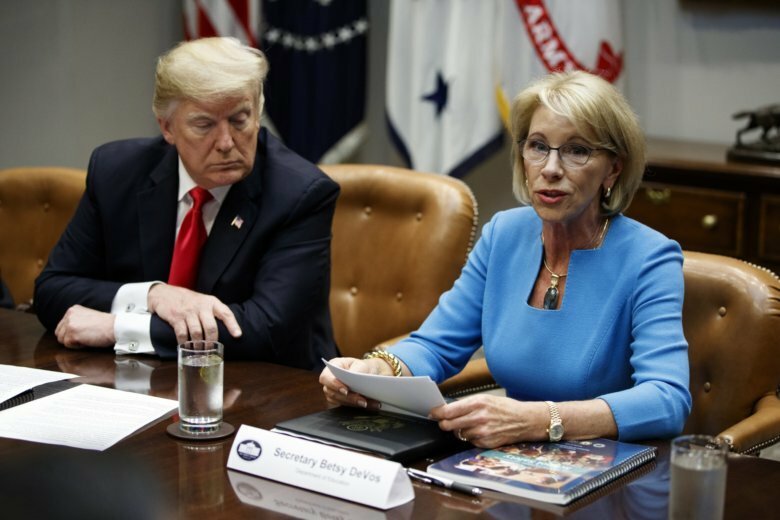 The Education Department’s independent watchdog said Wednesday that it plans to investigate Secretary Betsy DeVos’ decision to reinstate a troubled accrediting agency that was shut down by the Obama administration over allegations of lax oversight. The department’s inspector general is launching the review in response to a Dec. 17 letter from Sen. Patty Murray of Washington and Rep. Bobby Scott of Virginia, the top Democrats on congressional committees that oversee education, a spokeswoman for the inspector general told The Associated Press. In their letter, the Democrats question how closely DeVos reviewed the Accrediting Council for Independent Colleges, and they suggest that education officials exaggerated the group’s support from others in the industry, which was a factor in DeVos’ decision to reinstate it. DeVos’ Nov. 21 decision to revive the accrediting group has become a flashpoint in a broader debate over the regulation of for-profit colleges. Democrats say DeVos has been too friendly to the industry, while DeVos says the previous administration went too far working against it. President Barack Obama’s administration cut ties with ACICS in 2016, citing a “profound lack of compliance” with federal standards. The group had been accused of poor oversight after giving its blessing to for-profit chains including Corinthian Colleges and ITT Technical Institute, which both folded amid widespread allegations of fraud. As evidence that ACICS had gained “wide acceptance” from others in the industry — a requirement for all accrediting agencies — the department said it obtained letters of support from nine other accreditors. But eight of those groups later denied offering support, prompting the department to issue an Oct. 15 correction that cited letters from four different groups. “If the department used incorrect information to determine ACICS’ compliance with federal regulatory criteria for recognition, then the department’s review process and re-recognition of ACICS put students and taxpayers at significant risk,” according to the letter from Murray and Scott. The Dec. 17 letter also accuses the department of failing to examine ACICS’s ability to monitor the finances of its schools. Murray and Scott cite the sudden closure of Education Corporation of America, a major for-profit chain that was endorsed by ACICS before it folded Dec. 5 amid deep financial trouble.